Tomoko joined U.S. Wealth Management in 2008 as an Operations Associate. She is responsible for billing advisory accounts managed by US Financial Advisors and also handles the full array of operations tasks. 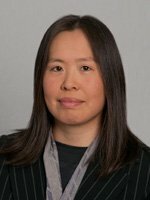 Tomoko previously worked as a New Business Analyst at Ocean State Financial Services, a Met Life Affiliated firm, where she handled all lines of business including Life Insurance, Annuities, Brokerage, and Mutual Funds. She has a B.S. in Communication from Suffolk University in Boston, MA.